"Treating Customers Fairly has always been at the heart of Powercoms Customer Commitment and exists to solve and meet the demands and needs of our customers. We have developed our products and services to ensure that our customers are provided with the best solution." 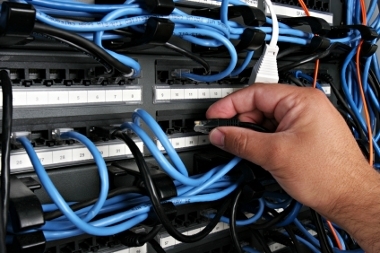 Powercoms data networks division has a unique structure, which allows the us to provide solutions to all cabling and networking requirements. Dedicated Project Managers supervise all projects to ensure quality, consistency, and compliance with customer specification and with Health & Safety legislation. The Supervisors also provide the vital link with the permanently employed, highly skilled operatives and technicians, "the key to our success." Powercom is manufacturer independent and work with all of the major cabling and hardware manufacturers. All cabling and hardware installations come with the backing of a manufacturer warranty and these can be supplemented by the Powercom on-site maintenance options.